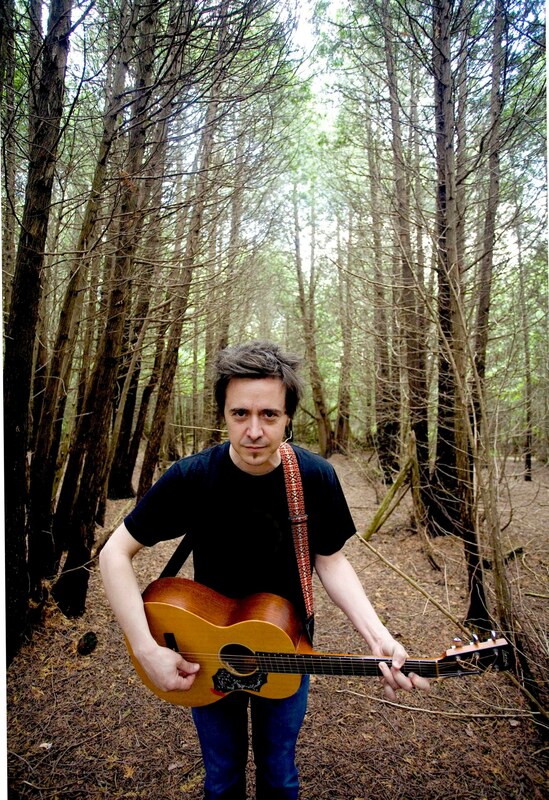 Canadian singer-songwriter Danny Michel has produced a 10 disc repertoire that is one of the most diverse I have ever consumed as a listener. From the Canadiana backwoods tunes of Feather, Fur & Fin (2008), to the Belizean warmth of Sunset Sea (2010), Michel manages to keep his listeners guessing what musical flavor he will embrace next. He assures me that he tries not to overthink things. “I like to challenge myself and get out of my comfort zone,” he states. “If things are comfortable, I feel I’m doing something wrong. I just try and make sure I’m moving forward into uncharted waters.” Michel returns to Belize, which inspired Sunset Sea, to record his latest release, Black Birds are Dancing Over Me (2012). When comparing his newest CD release to a food dish, he reveals that the seafood recipe, Conch Cerviche, would be most appropriate. This musical offering may be exotic for Canadian audiences. The dish involves marinating firm conch meat, which originates from mollusks, in a mixture of citrus juices. This chilled dish is the perfect accompaniment with a beer and view of the sea. The slightly rough quality of Michel’s voice, juxtaposed with the effervescent ease of tunes such as “What Colour are You?” in the new album represents Conch Cerviche well. Audiences will have a chance to sample Michel’s most recent album performed live at the Arden Theatre on Friday. It promises to be a unique event because a band joins him this time on this tour. This will be a change for listeners who have only heard him perform solo, accompanied only by his loop pedals. A Michel performance trademark involves live-recording vocal, instrument, and percussion fragments so that he can layer other musical lines with his looped accompaniment, all within the live stage setting. Although listening to recordings is a perfectly adequate way to enjoy music, there is something about the energy of live performance that remains unrivaled. Michel feels that “in a world where everything can be stolen and taken, that live moment is still beautifully pure.” Michel’s raw musical offerings await Arden audiences on Friday.